What if you lived in a country where you were jailed, beaten, or worse, killed for saying seemingly harmless things. It happens all over the world, but living in free countries like the good 'ole US of A, we take our liberties for granted. 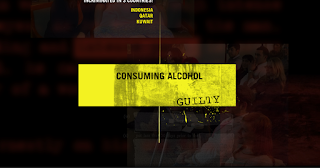 To make you aware of these injustices, this powerful application, called Trial by Timeline from Amnesty International New Zealand, scans your Facebook profile and determines how many times you'd be tortured based on the things you say. I had 161 convictions. How many did you have?